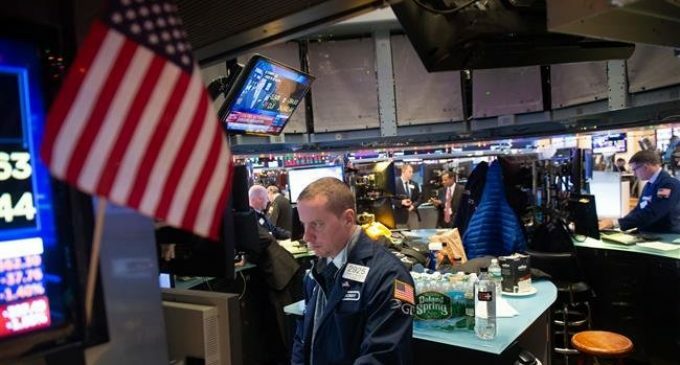 US stock index futures fell sharply on Thursday after Apple Inc stunned investors with its first sales warning in more than a decade, deepening fears about a slowdown in China’s economy and its impact on corporate profits. Apple’s shares tumbled 8.8 percent in premarket trading after the iPhone maker slashed its holiday-quarter revenue outlook due to slowing iPhone sales in China, sparking fresh concerns over the fallout from the Sino-US trade war ahead of the US earnings season. At 6:26 am ET, Dow e-minis were down 371 points, or 1.59 percent. S&P 500 e-minis were down 41.25 points, or 1.64 percent and Nasdaq 100 e-minis were down 172.75 points, or 2.71 percent. A measure of US consumer confidence posted its sharpest decline in more than three years in December. The impact on US activity will be clear later on Thursday. The Institute of Supply Management is expected to report a fall in its index of US factory activity to a reading of 57.9 for December, from a reading of 59.3 in November. Also on tap is the ADP National Employment Report, which is expected to show US private payrolls rose by 178,000 jobs in December. The report comes ahead of the more comprehensive nonfarm payrolls report on Friday.